Pentair Filters - Our inground pools come standard with either a 25" sand filter or an appropriately sized cartridge filter. Most of our customers end up with a cartridge filter because of ease of operation and the fact that they are capable of superior filtration. For more information, check out these filters here. Sanitizers - A pool requires a sanitation system to kill bacteria. Ozone Generators - produce ozone to oxidize ammonia and combined chlorine in water. Chlorine Free USA - We are a dealer for these systems that sanitize your inground pool with no chlorine, see Chlorine Free USA. 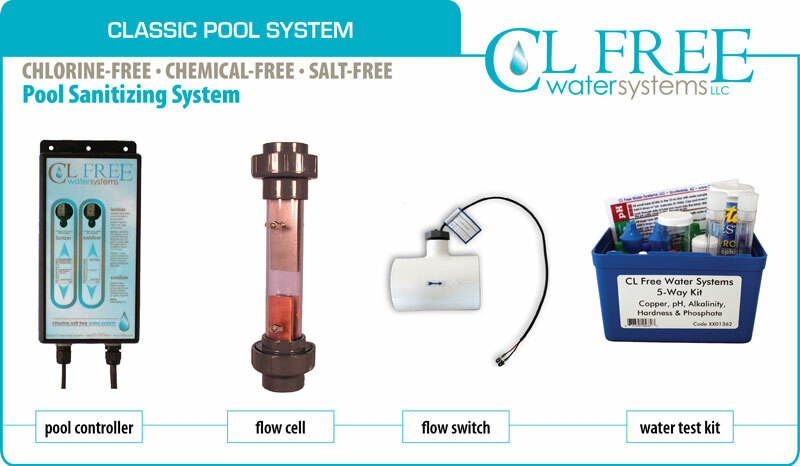 Thissystem is perfect to completely avoid chlorine. 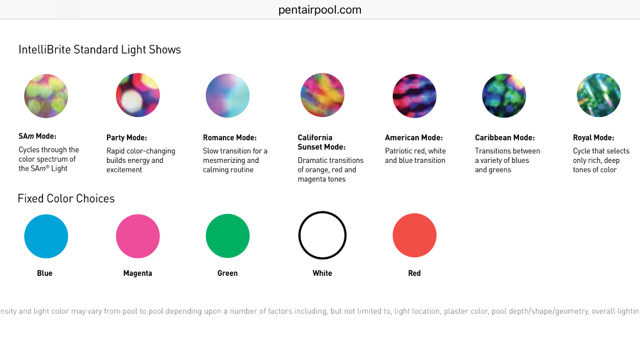 Multi Colored Light - Your pool package comes standard with a very nice white LED or electric light and there is no need to upgrade. 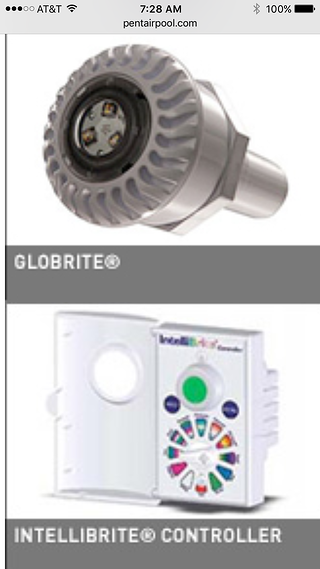 However, for those seeking intense multi colored lighting, try a Globrite LED light from Pentair. These lights fit into a return size fitting and have no niche, meaning less light leaks! You may even elect to do more than one light and synchronize them--lots of design possibilities here and the price is nominal.